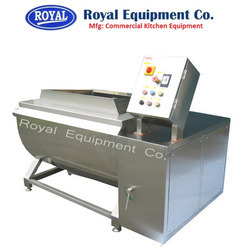 Providing you the best range of pre rinse unit, soil dish landing table, work table with sink, three sink wash unit, dishwashers and vegetable washer with effective & timely delivery. Fostered with a team of highly experienced professionals, we are offering our clients a superior quality array of Pre Rinse Unit. Comes with mixer for hot and cold water, this unit is manufactured using high quality raw material and cutting-edge technology as per the international quality standards. 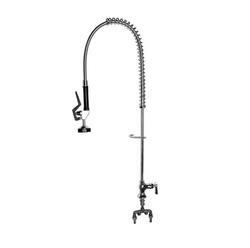 Our clients can avail this pre rinse unit from us at very affordable price. Royal Equipment company has gained immense accolades in the field of offering Soil Dish Landing Table to the clients. This product is efficiently manufactured by making use of quality approved raw material with the aid of advanced techniques in sync with the predefined industry standards. 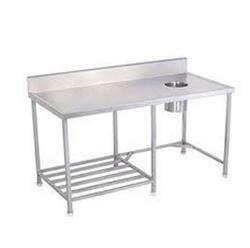 Offered range is used to clean dirty dishes like crockery, cutlery, glassware, etc. Soil Dish Landing Table is known for attributes such as sturdy construction, lightweight and corrosion resistance. This product is stringently checked by the quality auditors on well defined parameters. Royal Equipment Co.Manufacturer, Supplier, Exporter, Importer and Wholesaler of commercial kitchen and food equipmen. 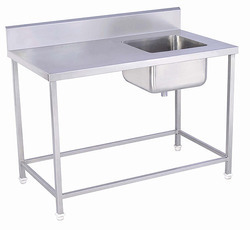 Our expert team allows us to manufacture, provide service and export leading products of Work Table with Sink. We produce these products with the help of steel materials which are of premium quality sourced from genuine dealers around the globe. These are featured with attached sinks, four strong legs and full steel body. All our products are applicable in kitchens, hotels, restaurants and bakrey. 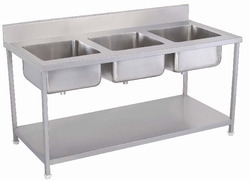 We have gained immense recognition by offering a quality assured range of Three Sink Wash Unit. The offered sink is designed and manufactured by our experts keeping in mind set industry standards using premium quality stainless steel and cutting-edge technology. This sink is also tested on various quality parameters to ensure its durability and high strength. Royal Kitchen Equipment Co. are leading Manufacturer, Supplier, Exporter, Importer and Wholesaler of customised wide range of Dishwashers. Rack Dimensions (mm): 500x500 : Free 2 nos. Being leading industrial organization we are providing Taiwan Vegetable Washer to our customers. It has sturdy construction and precise dimensions and also excellent finishing. This product is manufactured by use of best material and can easily be used for washing bulk vegetables. This product easily removes all types of impurities from the vegetables and is made available in accordance with the specific requirements of customers. The quality auditors hired by our organization perform rigorous inspection before making this available for sale in the market.